When Tom Corbett took office as Attorney General for the Commonwealth of Pennsylvania in January 2005, he made information technology a key priority for his administration. In the two years that have followed, the Office of Attorney General has become one of the most innovative technology organizations in Pennsylvania state government and a leader among other state level Attorney General offices in the strategic application of information technology. It has achieved exceptional efficiencies by using Imanami’s software suite to automate and share the responsibilites of managing directory objects. Today the organization can provision/de-provision accounts, manage groups, create directories and manage contact information accurately and with ease and exceptional control. The heritage of the Pennsylvania (PA) Office of Attorney General is one of the oldest and most diverse offices of public trust in the United States spanning over three centuries of life in the Commonwealth. Pennsylvania is unique in its breadth of services provided by The Office of the Attorney General. It addresses crimes and crime prevention in the areas of drugs, environmental law, fraud, organized crime, crimes against seniors and children, domestic abuse, financial, civil and more. Due to the busy nature and variety of topics that need to be managed by this Office, it set out years ago to provide a world class IT infrastructure to support the volume, complexity and security necessary to serve the public as an outstanding service organization. Today, The PA Office of the Attorney General is a model for many of the other State agencies. It has built a sophisticated technology organization that is looked to for best practices and innovation. The PA Attorney Generals’ Office has a special technology challenge as well. 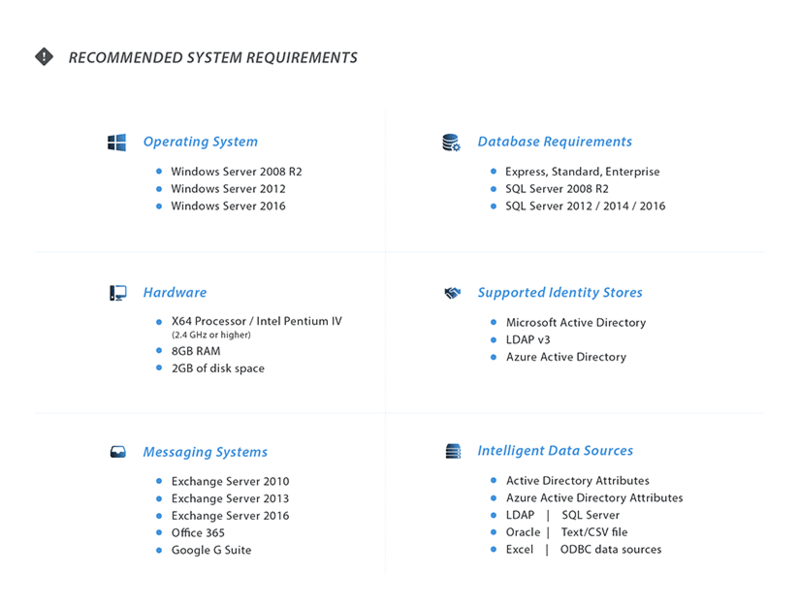 It utilizes MS Exchange 2003 for approximately 90% of its systems, but also is also running MS Exchange 2007 for the remainder, as part of Microsoft’s Rapid Deployment Program (RDP). The PA Office of Attorney General discovered Imanami’s Directory Management software years ago via an Internet search. It seemed too good to be true, but when the I.T. managers conducted the trial, it was an easy decision to make. The Office utilizes every product in the Imanami software suite, including GroupID Synchronize, GroupID Automate & GroupID Self-Service. GroupID Self-Service is a powerful web-based directory management solution that provides self service to users to update their own directory information, search the global catalog, modify objects in different domains and manage their own groups. It takes the burden of directory management away from IT, Human Resources and other groups, saving a lot of time maintaining manual address books. GroupID Self-Service also allows the PA Office of Attorney General’s Information Technology Section IT to maintain as much control and security as required by the organization; and because it is Web-based, it easily integrates into a corporate Intranet to replace less reliable phone directory applications. Imanami’s GroupID Synchronize provides significant wins in Identity Management projects by delivering meta-directory benefits from existing investments in Microsoft Active Directory (AD). GroupID Synchronize turns AD into an authoritative repository for identity information by synchronizing most databases and identity stores with AD. By utilizing transforms (scripting) in the product, GroupID Synchronize also provides the capability for provisioning and de-provisioning, and can map business processes to automation. GroupID Automate is a powerful yet easy-to-use application that dynamically maintains distribution lists based on rules that are applied to directory data. When users’ directory information changes, GroupID Automate automatically updates the appropriate distribution lists and security groups by using rule-defined LDAP queries. It takes group management to a whole new level by providing an easy-to-use interface, scheduled updates and automatic group creation. With the power of the Imanami suite, The Attorney General’s Office has evolved into a world-class service organization. Not only does it save time, it frees up experienced IT staff to build new systems and optimize existing systems for even more efficient operation, which in turn, helps the Office provide better public service. Before implementing Imanami’s software suite, The PA Office of the Attorney General was behind the times. The IT staff was inundated with manual account maintenance and things were just getting worse as the organization grew. Today, the IT department runs much more efficiently, can help other groups run more efficiently and they have the bandwidth to think creatively to stay ahead of the technology curve and maintain their status as a technology leader in Pennsylvania state government.